Everything you need to construct a pond or water feature. 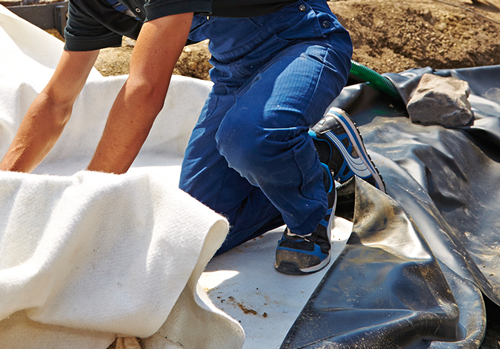 High quality pond liners, pond paints, waterproof sealants, feature reservoirs and support grids. Water Garden provide everything you need to construct a pond, water feature or garden fountain. Gordon Low flexible pond liners are perfect for creating ornamental or fish ponds in virtually any shape. Pond Paints are ideal for new or pre-build concrete ponds, allowing the surface to be waterproof sealed. For smaller water features or fountains, our architectural reservoirs can be used below ground and safely covered by steel grids, the preferred option if you do not require open water or are concerned over pet or child safety. Water Garden offers a wide selection of pond and lake construction and installation products. We also offer advice and expertise to anyone seeking help in building the water feature they desire. We can source unique bespoke hand-crafted sculptures and watercourses made to measure to create an individual and unique display. 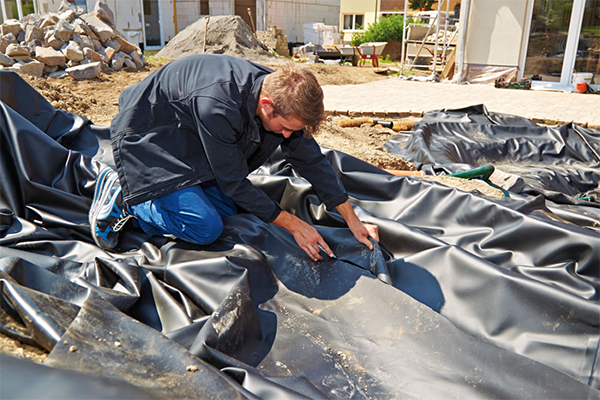 We source our pond & lake liners from Gordon Low who produce high quality, heavy duty rubber liners from top brands such as Firestone and Butyl. 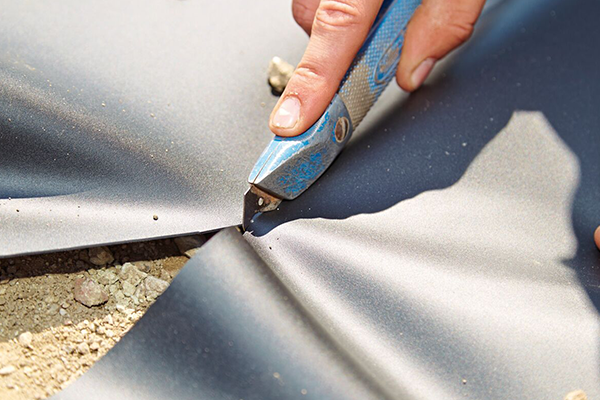 SealEco GreenSeal Pond Lining is by far the best choice when selecting a pond liner as this has superb stretch characteristics (virtually identical to Butyl) but at a lower cost. We supply pond paints and adhesives produced by Gold Label and are known for their reliability and long-life. Pond paint can be applied to brickwork, block or concreted surfaces and will provide a hermetic seal once painted with 2 to 3 coats, making it ideal for more complicated pond shapes where a rubber liner would present difficulties in pleating and folding. We offer a wide variety of water reservoirs, ranging from underground mounted tanks with steel grids to stainless steel reservoirs. Water reservoirs can be used to create decorative fountains or stand-alone water features within the garden landscape and suitable fountain pumps can be mounted directly in the water tank, recirculating the water within. Water Garden offers a free consultation service to discuss potential ideas and plans of a proposed feature or pond. We can then direct you to a highly-qualified installer to undertake any works if you would wish so. We can also provide advice and guidance if completing the project yourself. Looking for some inspiration? See our Pinterest board for images of features we’ve selected for their individuality and overall effect. If you need help in designing or selecting suitable materials for pond or water feature construction, please feel free to call or alternatively email us for expert advice.